Salvage Hunters: Classic Cars is coming to your tellybox! Car TV is about to get a lot better. 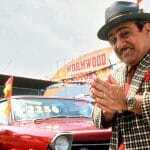 This is Salvage Hunters: Classic Cars! Here at Not2Grand we love a bit of car-based telly. We’re obsessed with all things automotive and as such, we fill our downtime with car-based entertainment. You may remember us gushing loudly and proudly about our love for Roadkill. So imagine our sheer joy when we learned that Drew ‘I’ll give you one price but after that I’ll have to walk away’ Pritchard of Salvage Hunters fame was planning on being in a new show all about cars. Happy days indeed. We love a bit of Salvage Hunters. It’s a perfect example of what the TV suits call ‘returnable’ television, which means you can watch it many, many times. And if we’re hooked on antiques, which know absolutely nothing about, we’re going to be full-on junkies for a show where Drew is doing his thing, but with cars. It might all sound a bit gushing, but stay with us. We like Drew because you get the impression that if there were no cameras on him, he’d be exactly the same. There’s no forced TV persona, no ego. That’s important, especially in a niche that’s full of people trying far too hard to be the next big thing. 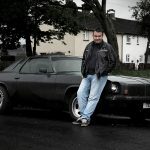 Us petrolheads just want a good show about cars, and hopefully Drew will deliver that. BUT WAIT! As the JML adverts proclaim. THERE’S MORE! That there is Paul ‘big legs’ Cowland, possibly the tallest man in the motor trade. He’s been buying and selling cars since the dawn of time, and currently owns around thirty cars himself (we’re not kidding). Plus, he runs Landspeed, which will be the base of operations for this new show. You might also recognise him from another Discovery Network show, namely Turbo Pickers. It was given an infuriatingly short run, but man alive did it speak to us. Paul bought cheap cars and tarted them up, or turned them into track cars, or just bought cool old motoring memorabilia. It was very ‘us’. It was also real, not “look, we made £A BILLIONTY profit” like some other shows. Unfortunately though, and probably due to Dave the mechanic – the co-host – gurning into the camera with too much of that fake TV persona we were talking about, it never got a second run. Happily though, the TV suits liked Paul, so here he is with Drew. Excellent. Look at that, a Renault 19 Chamade getting TV time. This show has promise. But why wouldn’t it? 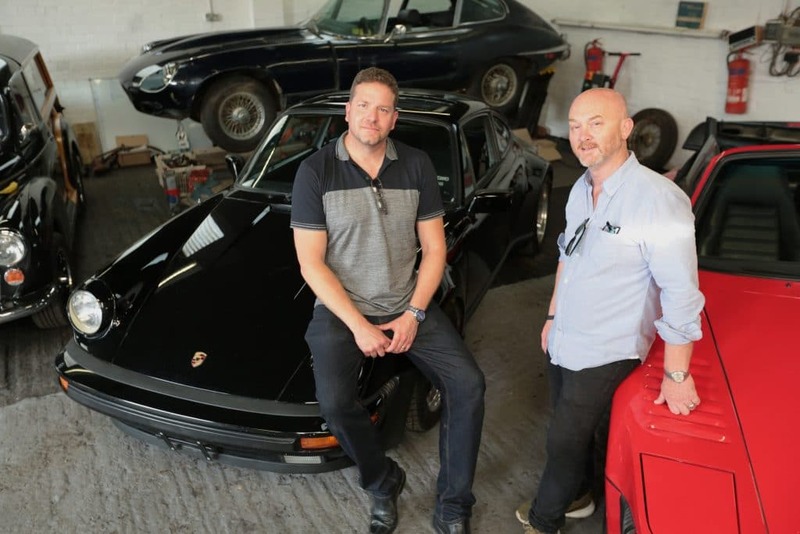 The two guys hosting know their onions, the cars they seem to be getting involved with are cool (think Mk1 Golf GTi, Mini, Porsche 928 and so on) and if it’s filmed in the natural, organic way that Salvage Hunters is, it should be a feast for the eyes. Until Paul’s mug appears of course, but that’s a small price to pay. There also seems to be, as you can see, some real chemistry there, too. Again, that’s important. And it should see that show gets a decent following. As official friends of the show (Paul called us that, so we’re taking it. Plus, we’ve been to his house and everything) we’ve actually known about this show for a while. 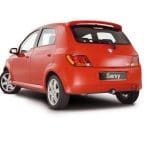 However, we couldn’t say anything under penalty of being beaten to death with a rusty cam shaft. And nobody wants that. Plus, we want to try and sneak into season two, so we decided it would be best to tow the line. So, there there you go. A tall man and a shorter man are going to be on your telly doing stuff with cars. And yes, we have a million cars shows, and yes, Paul may have bought us a beer once, but honestly, we’re not that easily won over. We’re genuinely looking forward to this. And if you like cars, you should be too. Salvage Hunters: Classic Cars airs on Quest (freeview channel 37) on Wednesday January 17th next year. newer N2G - It's a way of life!